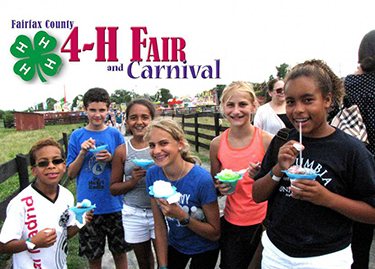 The 71st Annual Fairfax County 4-H Fair and Carnival will be held at Frying Pan Farm Park from August 1 to 4, 2019. 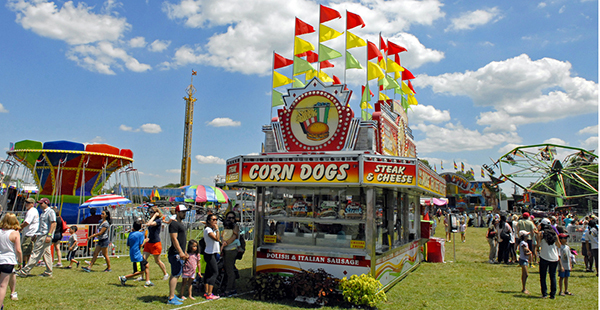 The Fair and Carnival is full of multi-generational family fun with carnival rides, animal demos, farm animal competitions, baked goods and produce competitions, and pie eating and watermelon seed spitting contests. Plan now to come to Herndon, VA in August for four days of fresh air, farm fun and good times for you, your friends, family and neighbors. You'll see livestock and 4-H exhibits, enjoy delicious fair food, and you can enter your creation in the fair and try your hand at milking a cow or goat. Don’t miss the carnival rides, games and live entertainment. Sponsorship opportunities for 2019 will be available soon! Thank you to our 2018 4-H Fair & Carnival Sponsors!